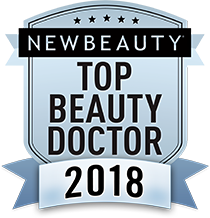 Dr. Cory Yeh, a Double Board Certified facial plastic surgeon in Orange County, provides a wealth of experience in Facial Plastic and Reconstructive Surgery. His interest in facial aesthetics adds artistry to his work in the area of facial rejuvenation. Dr. Yeh is a Southern California native who attended Stanford University for both undergraduate and medical school. He was honored to be elected Phi Beta Kappa at Stanford as well as President of the Stanford Medical Student Association, serving as the medical school student leader. Dr. Cory Yeh completed a five year residency in Head and Neck Surgery at Harvard, followed by a AAFPRS Facial Plastic and Reconstructive Surgery Fellowship in New York. Dr. Yeh is currently a medical staff member in the Department of Surgery at Saddleback Memorial Medical Center, San Clemente Memorial Medical Center, and the Laguna Hills Surgery Center. Dr. Cory Yeh has held hospital appointments and affiliations in the Departments of Surgery at the New England Laser and Cosmetic Surgery Center; Massachusetts General Hospital; Brigham and Women’s Hospital; Beth Israel Deaconess Medical Center; Massachusetts Eye and Ear Infirmary; Albany Medical Center; Stratton Veteran Affairs Hospital; St. Peter’s Hospital; and Albany Memorial Hospital. Dr. Yeh is a Diplomate of the American Board of Facial Plastic and Reconstructive Surgery (having placed in the top 98th percentile on his board examination) and a Diplomate of the American Board of Otolaryngology – Head and Neck Surgery. Dr. Yeh is licensed by the Medical Board of California. An accomplished teacher and lecturer, Dr. Yeh has several professional publications in the field of Facial Plastic and Reconstructive Surgery and has presented his research at many national surgical meetings. He was awarded the best scientific paper submitted by a resident at the Facial Plastic and Reconstructive Surgery annual meeting in Washington, D.C. Dr. Yeh is also dedicated to improving the lives of others and has served as a visiting surgeon with Medical Missions for Children, helping to provide free cleft lip and cleft palate repair to children in Antigua, Guatemala. Yeh Facial Plastic Surgery is committed to providing excellence in patient care. Dr. Cory Yeh is a Double Board Certified Surgeon who has earned trust and respect from his colleagues and has established a reputation as a caring physician and skillful surgeon. Dr. Yeh dedicates himself to providing state of the art medical care in cosmetic and reconstructive procedures and emphasizes safety and treatment outcomes at all times. At Yeh Facial Plastic Surgery, we are committed to treating patients as family and strive to provide all of our patients with individual, attentive service and compassionate care. Our goal is to make a real difference in the lives of our patients and help them cultivate a happy and healthy lifestyle. We support you in your important decision to trust your face to a facial plastic surgeon. Yeh CC, Williams EF 3rd. Long-term results of autologous periorbital lipotransfer. Arch Facial Plast Surg. 2011; 13(4):252-58. Yeh CC, Williams EF 3rd. Midface restoration in the management of the lower eyelid. Facial Plast Surg Clin North Am. 2010; 18(3):365-74. Yeh CC,Williams EF 3rd. Fat Management in lower lid blepharoplasty. Facial Plast Surg. 2009; 25(4):234-44. Yeh CC,Williams EF 3rd. Cosmetic and functional effects of cephalic malposition of the lower lateral cartilages: A facial plastic surgical case study. Otolaryngol Clin North Am. 2009; 42(3):539-46. Yeh C, Bowers D, Hadlock TA. Effect of FK506 on functional recovery after facial nerve injury in the rat.Arch Facial Plast Surg. 2007; 9(5):333-9. Yeh C. “Latest Advances in Facial Rejuvenation.”. Presented at Saddleback Memorial Medical Center. Laguna Hills, CA 2011. Yeh C. “Long Term Results of Autologous Periorbital Lipotransfer”. Presented at the American Academy of Facial Plastic and Reconstructive Surgery Annual Meeting. Yeh C. “Understanding Facial Aging: the New Frontier of Facial Rejuvenation”. Presented at Saddleback Memorial Medical Center. Laguna Hills, CA, 2010. Yeh C. “Facial Paralysis and Contemporary Facial Reanimation Techniques”. Presented at the Albany Medical Center Grand Rounds. Albany, NY, 2009. Yeh C, Deschler D. “Odontogenic infection presenting as a submandibular fistula”. Presented at the Triological Society, Eastern Section Meeting. Philadelphia, PA, 2008. Yeh C, Bowers D, Hadlock TA. “FK506 accelerates functional recovery after facial nerve injury in the rat.” Presented at the American Academy of Facial Plastic and Reconstructive Surgery Annual Fall Meeting. Washington D.C., 2007. Yeh C, Hadlock TA. “The effect of FK506 on facial nerve injury.” Presented at the Harvard Otolaryngology Research Forum. Boston, MA, 2006. Yeh C, Lister M. “Cherubism and cystic mandible lesions.” Presented at the Boston Children’s Hospital and Brigham and Women’s Hospital Faculty Conference. Boston, MA, 2006. Yeh C, Rahbar R, McGill T, Healey G. “Pediatric rhabdomyosarcoma of the head and neck.” Presented at the annual Boston Children’s Hospital Otolaryngology Grand Rounds. Boston, MA, 2005. Yeh C, Rho M. “The role of Mohs surgery in the treatment of cutaneous head and neck carcinomas and dermatofibrosarcoma protuberans.” Presented at the annual Department of Facial Plastic and Reconstructive Surgery Grand Rounds. Massachusetts Eye and Ear Infirmary. Boston, MA, 2004. Yeh C, Nakahashi T, Hoshina K, Xu C, Tsao P, Karwowski J, Dalman R. “Alpha Tocopherol limits experimental aortic aneurysm enlargement.” Presented at the American Heart Association Second Annual Conference on Arteriosclerosis, Thrombosis, and Vascular Biology. Washington, D.C., 2001. Yeh C, Nakahashi T, Hoshina K, Xu C, Tsao P, Karwowski J, Dalman R. “Experimental abdominal aortic aneurysm attenuated by Vitamin E treatment.” Presented at Eighth Annual Western Vascular Resident Forum. Santa Fe, New Mexico, 2001. Yeh C, Karwowski J, Dalman R. “Shear and strain mediate aortic enlargement following arteriovenous fistula creation.” Presented at Stanford University School of Medicine Annual Research Symposium. Stanford, California, 2000. Karwowski J,Yeh C, Dalman R. “Shear and strain mediate aortic enlargement following AVF creation.” Presented at Association for Academic Surgery Thirty-Fourth Annual Meeting. Tampa, Florida, 2000.